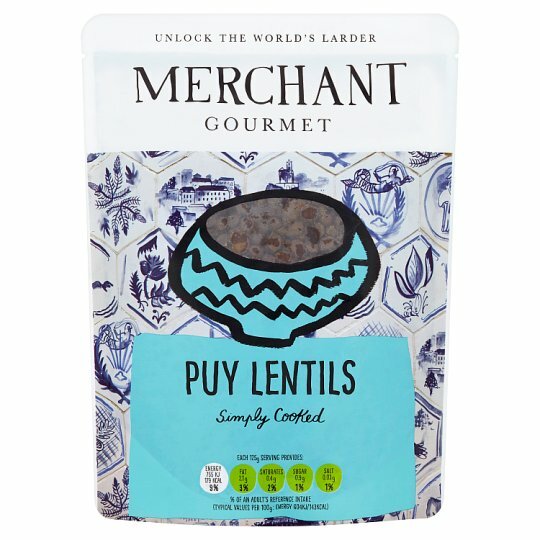 These tasty lentils have a delicate, slightly peppery flavour, and were grown in Le Puy-en-Velay, in France. They've been simply cooked with water, onion, bay leaf and a dash of olive oil, and are a fantastic base for summery salads. Store in a cool, dry place., Once opened, keep in the fridge and eat within 3 days. For delicious veggie meatballs: press these cooked Puy Lentils into balls. Fry them and add to a pan of simmering tomato sauce. Cook for 20 mins and serve with pasta.